Whether you would like floral arrangements to be dotted down the aisle or would like to be carrying a customized bouquet, the team at Blossom Shop Florist can make it happen. This company has extensive experience providing wedding flowers for ceremonies and receptions in North Carolina. You can work with this team to come up with designs that suit the style of your occasion or you can choose from arrangements that they have already made. In either case you can be sure the flowers will be beautiful. Pine State Flowers is one of the few flower shops that uses growing practices that are chemical free to keep their selection as beautiful and organic as possible. If this is important for your wedding day then you should buy flowers from this company to complete the decoration and accents for the occasion. Reviews of this company make it clear that they will go above and beyond to make your wedding as special and beautiful as possible using their vibrant floral selection. 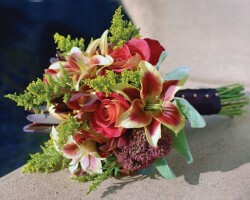 Fleurtations is wedding design company that is owned and operated by a master floral designer. This is not just another Raleigh florist when you consider how much thought and effort goes into making each aspect of the wedding décor as perfect and as romantic as possible. You can ask for this team to come up with interesting and personalized floral designs to go with the tables or to accent the room. 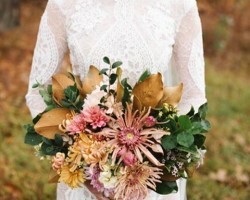 They can even customize the bouquet that the bride will be carrying. Flowers can make any occasion even more exceptional, whether they are given to celebrate a birthday or are used in the decoration at a special event. Every Bloomin’ Thing is one of the florists in Raleigh, NC that caters to all of your floral needs. When you would like to work with a company that has a beautiful selection as well as affordable prices and an expert design company then you have to work with this team. 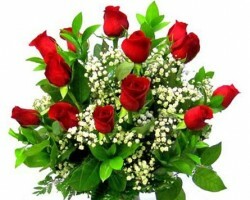 It is the only way to guarantee that you will love the arrangements. Flowers are symbols of romance and love, which is why so many couples choose to have them as part of their wedding celebration. 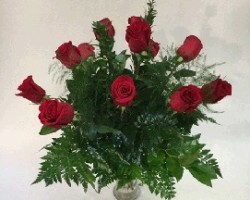 Watkins Flowers of Distinction has a selection that is fresh and colorful. 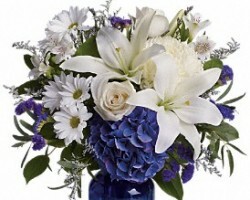 You can choose your favorite flowers or ask the team to come up with arrangements based on your color scheme. Either way, the flowers will always add beauty to your big day. This shop also offers local flower delivery in Raleigh for those that need gorgeous flowers sent to a friend or loved one.